Jennifer and Bill Jones had their Homeowners, Auto and other insurance policies with Agent George for over 15 years. He also carried the FEMA NFIP Flood policy on their home with the great view of the river. But that policy had almost doubled in price over the past two years, and the Jones began looking around for a better deal than the super expensive FEMA Flood policy. Agent George couldn't help them. He didn't know about America's Flood. Agent Jim across town did use America's Flood and was able to provide the Jones with a Private Flood policy having all of the FEMA coverages plus Additional Living Expenses and saved them $715 over the FEMA Flood. Within a year Agent Jim had converted all of the Jones' other insurance policies to his agency. We have heard about this scenario happening today in the market. Flood Insurance can be a big problem. Actions by Congress and FEMA have thrown the National Flood Insurance Program (NFIP) into disarray. Premium rates are rising very quickly to achieve actuarial rates, but are causing huge "sticker shock" with policyholders, who are actively looking for a less expensive alternatives. At the same time, FEMA is demanding ever more documentation and requirements from Agents and their Clients in order to place a policy with the NFIP. Writing Flood Insurance is more complicated than ever. In many cases rising FEMA policy prices have become serious financial burdens on homeowners. And for Agents, the hoops to jump through are getting ridiculous. Are you keeping up with all the new rules, procedures, and signature requirements for Flood Insurance? Seek out grandfathering for Client policies? Understand the new April 1 NFIP changes? Correctly select an "Other Non-Residential" building? Know what classifies a "Below Grade Crawlspace vs. a Basement"? Always get signed waivers showing the Client was offered Flood Insurance? 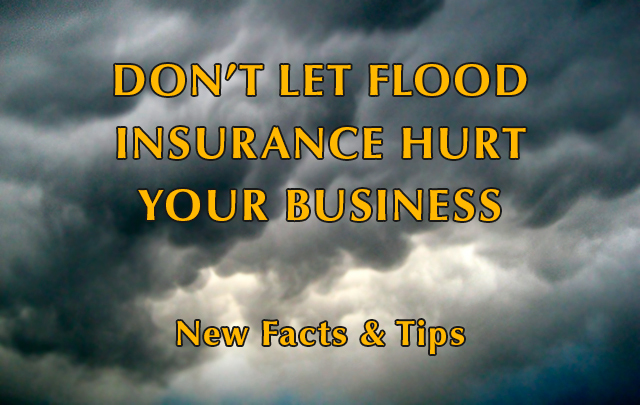 Fully understand your E&O risks from Flood insurance? Are you tired of messing around with Flood Insurance? Time to bring in the experts. Since 1994, America's Flood Insurance Services has been helping Agents of all sizes across the country to solve the many challenges with Flood insurance. We are seasoned experts, because Flood insurance is all we do. We provide FEMA NFIP and Private Flood Insurance policies nationwide and assist with Agent and Client questions, Policy placement, Policy maintenance, Claims, Elevation Certificates, Flood Zone Determinations, Flood Map changes, Letters of Map Amendment and anything else related to Flood Insurance. Through our many NFIP and Private Flood carriers, we can provide Flood coverage for nearly any Residential, Condo or Commercial building in the US. America's Flood acts as the Flood Insurance Service Center for Agents, where we do the work and the Agent keeps the Clients and receives commissions. Our job is to put in your hands the Flood products you need to show your Clients that they are getting the best Flood Insurance value and great service from you. Each property has its own unique Flood risks, and each Client needs a careful review of their situation to determine the best Flood insurance products for their risk needs. We review the Client situation for you, then compare companies and find the best Flood prices and coverages for you to recommend to your Client. We concentrate on writing NFIP policies and advise Agents to sell these policies if possible. But when your Client balks at the NFIP price, we provide you a Private Flood Insurance quote, which can be as much as 50% below the NFIP, and has the same or better coverages as the NFIP policy. Obviously, in some circumstances your Client may want a Private Flood policy. In fact, for certain policy types, with both New and Renewals, we provide our Agent associates with both a NFIP quote and a Private Flood quote. Then you are ready to help your Client make the best decision. Our goal is to help you keep the Flood policy and your Client relationship in place. Once a Flood policy is purchased, we handle all of the behind the scenes needed to maintain your policy: endorsements, renewals, cancels, lender requirements, Flood map change updates, Flood questions, and direct follow-up with your staff when needed. Each month you automatically receive copies of New and Renewal Flood policies and your commissions. Wrap Supplement Policy - Additional cover to NFIP policy: basements, add'l living expenses, more. Other Private Policy coverages could include catastrophic ground collapse, additional living expenses, and other items that are not covered in NFIP policy, depending on carrier. NFIP policies are backed by the full faith and guarantee of the US Government and nearly all properties are eligible. The Private Flood policies are written through A-rated Surplus Lines Carriers, each of which has different criteria for accepting properties to insure. We know where to place the risks. Though the FEMA NFIP program is going through turmoil right now, it is likely to exist for a long time. Surplus lines carriers have a history of getting into then out of insurance businesses. This is why we use strong companies and many companies in order to maintain stable access to markets over time. The prices of FEMA NFIP policies are increasing dramatically. Often a Private Flood policy is far more attractive in price and with the same or better coverages. FEMA policy applications and quotes are extremely lengthy and require immense detail. It often takes some time to properly review each property to find the best FEMA option. Private Flood quote applications are generally short and quotes arrive immediately to us or within a short time. The FEMA NFIP policy has a 30 waiting period after payment before coverage begins. Private Flood policies range from 15 day to 30 day waiting periods. With both NFIP and Private, there is no waiting period for policies required at loan closings. All Lenders accept the NFIP policy to meet Flood requirements on their mortgages. Most Lenders accept Private Flood policies, since they have the same coverages and conditions as the FEMA policies. We recommend that the Client or the Agent check with any Mortgagee to get pre-approval before purchasing a Private Flood policy. When a FEMA policy renews without a lapse, coverage is continuous, which is important if the Flood policy has been grandfathered to a lower rate. Currently, renewing Flood coverage on some FEMA policies with a Private Flood carrier does or could be interpreted to break the continuous coverage chain, and thereby the Client potentially losing grandfathering rights if they return to the NFIP in the future. A new law is making its way through Congress to ensure that Private Flood policies will provide continuous coverage, but there is no guarantee this will be passed soon. In most circumstances, the Agent should convince the Client to use the FEMA NFIP policy. America's Flood can advise you when a Private policy may be a best choice. Much of the information required to underwrite any Flood policy can be found in public or proprietary systems. When we receive a quote request, we immediately double check the Flood Zone Determination and public and other records to confirm or add required data. To reduce risk to your E&O from Flood, we advise Agents to 1) Ask every Homeowners Client if they would like a Flood quote; 2) Have them sign a waiver if they do not want it (we can provide it to you); and 3) Have America's Flood handle the underwriting and maintenance of your Flood policies. For properties located in Special Flood Hazard Areas (SFHA - the “100 yr. Flood zones”), if the Client gets an Elevation Certificate (EC) from a “Land Surveyor, Community Official, Architect, Engineer, or other licensed official” which shows the building to be above the Base Flood Elevation (BFE) or Highest Adjacent Grade (HAG), then lower rates should be available on a FEMA policy. However, if the EC shows the building is at a zero elevation difference or below the BFE or grade, then rates could remain higher. 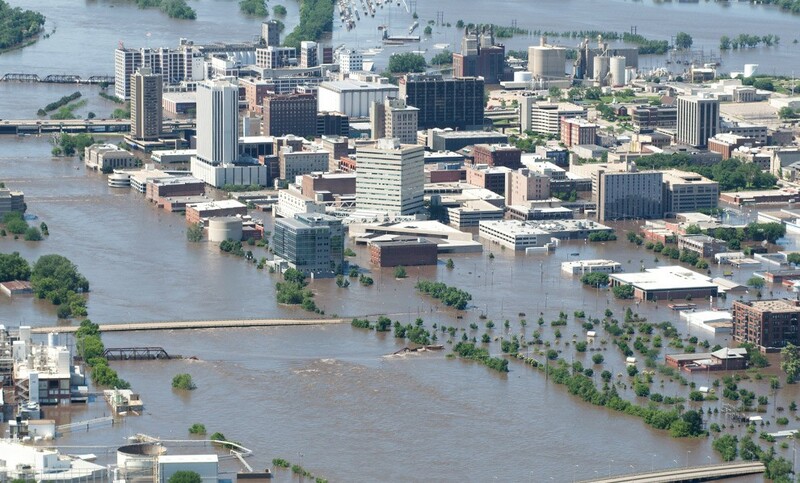 When needed, America's Flood recommends a large nationwide provider of Elevation Certificates with reasonable prices, who can work directly with a Client. Also, most Private Flood carriers do not require Elevation Certificates. However, if an EC shows the building at a plus elevation difference, it could further improve the Private rate. There is one thing certain about avoiding problems from Flood Insurance: stay ahead of all the changes.